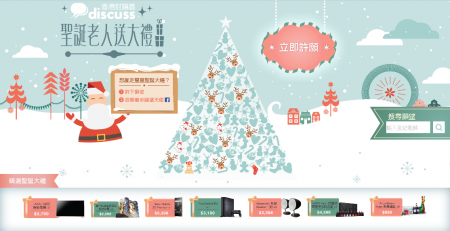 A Christmas thematic page was set on Discuss.com.hk to provide gift selection suggestions and plentiful information for eating, shopping and entertainment. Members were invited to select a suggested gift and share to their personal facebook. The top 20 members with the most facebook likes could win the selected gift.